What does MATTER stand for? As some of you already know I'm both initiator, instructor but above all Program Director of the MATTER advanced Data warehouse educational program. Since we are currently rolling out our program I did my first official presentation on the Data warehouse automation conference (DWHAutomation). The MATTER program was a main sponsor at this event and was received very well. Here we announced our first scheduled course on advanced Data Vault modeling (see the bi-podium website for details). We are currently in the process of setting up registrations and website and fleshing out parts of our procedures. We think that that modern Data warehouse should be valuable; it should add a clear value to organizations. This means they should be usable, but also be built in an agile, quick and cost effective way. This can only be achieved by a strong focus on automation efforts. But this is only feasible if you rely on modeling, transformation and metadata in combination with a robust and generic temporal aware (ETL) subsystem that together will form an agile, automatable and flexible data warehouse Architecture. We think that current efforts by vendors, consultants, clients and users deserve a strong educational program to support their efforts. Since there was no program or course focusing on these subjects we decided to create a whole new advanced educational program, the MATTER program. The MATTER program is a unique collaboration between field experts/instructors and the Model-based Information Systems (M-BIS) research group at the HAN University of Applied Science. The commercial parties involved are the Ockham Group, DataMasters(Unseen), Occurro , Lars Röhnback (anchormodeling) en bi-podium. The program is led by the Martijn Evers, Program Director, and Simone Molenaar, Program Coordinator. MATTER is an unequalled program to gain deeper insights into (agile) data warehouse architectures and methodologies. Its focus and synergy should allow you to create extreme flexible, agile, automatable and cost effective data warehouse solutions, or allow you to make better use of existing data warehouse automation solutions. Modeling: Learn advanced (temporal) modeling techniques like Anchor Modeling and in-depth Data Vault. Use information modeling to increase the quality of your data models. Understand the effects of temporalization on your data modeling efforts. 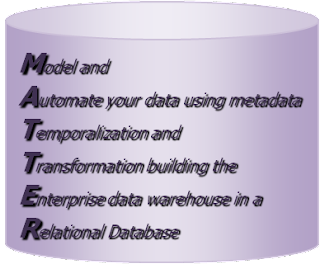 Metadata: In depth focus on metadata structures to support your data warehouse (automation) efforts. 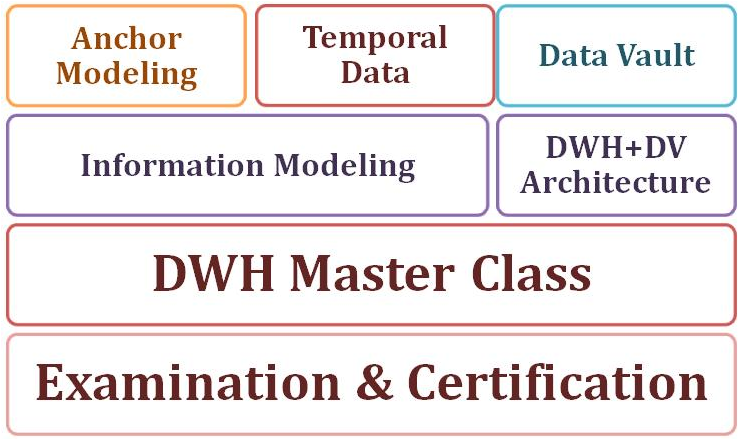 Architecture: Focus on advanced and agile DWH architectures using Data Vault and Anchor Modeling. Realize the benefits of fact oriented ETL architectures. Automation: Understand how to automate your DWH solutions. Learn the different approaches and ways to automate parts of your data warehouse’s ETL and architecture using modeling, metadata and transformation techniques. Temporalization: Understand the effects of time in the database. Understand temporal concepts and their implementations. Understand how to create bi-temporal systems, both for data warehousing as transactional systems. Model Transformation: Gain deeper knowledge in modeling by understanding how to transform from and to modeling styles like Anchor Modeling, Dimensional Modeling and Data Vault using a fact oriented information modeling technique (FCO-IM: Fully Communication Oriented Information Modeling) as a transformation language. Enterprise Information/Data warehouse system design: Understand how these techniques and methodologies can be used to architect modern flexible and automatable enterprise class Data warehouses or other information systems. (Relational) Database Management System implementation: Learn about the background, limitations and implementation details of current mainstream SQL DBMS systems with respect to these modern techniques and architectures. The program courses are organized into layers and tracks. Each layer builds on the previous layers and progresses the knowledge and insight of the participants. We have a temporal methods layer that contains 3 tracks. It has a clear focus on a certain method or technique: Data Vault, Anchor Modeling and generic temporal modeling. 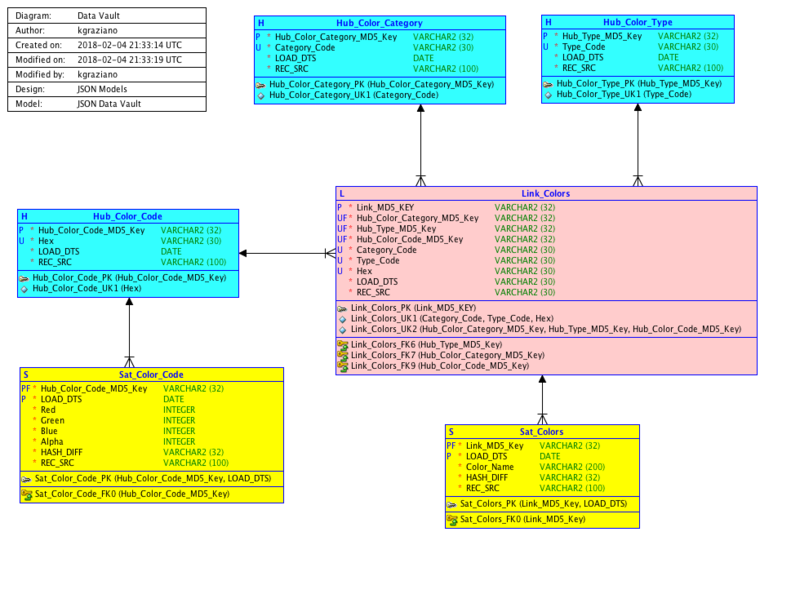 The next layer consists of an Information Modeling track using FCO-IM. Here we use information modeling and use transformations to derive data models like star schema’s, Anchor Models or Data Vaults. The next layer consists of a “Master class” which focuses on architecture and modeling based on the knowledge gained from information modeling and transformations. There is an optional overall certification whose level exceeds the regular Master degree as well as specific Anchor Modeling certifications. The certification process is done in coordination M-BIS research group of the HAN University of Applied Science. The examination consists of an in depth and interactive assignments. The program has its own exam board to oversee the examination and certification process. The program also has regular course examinations and certifications, as well as a few specific specialist track certifications around Anchor Modeling. While the program consists of several tracks each with several courses, there is no obligation to follow all tracks/courses. It is possible to just follow individual courses or limit yourself to just (parts of) a few tracks. Some dependencies exist, especially for the end certification. For those interested we do intakes to provide customized programs for all participants. This allows for an optimal result at minimal effort and expense. The program starts off in 2013, but we are already starting up the Data Vault "in the trenches" track this fall. 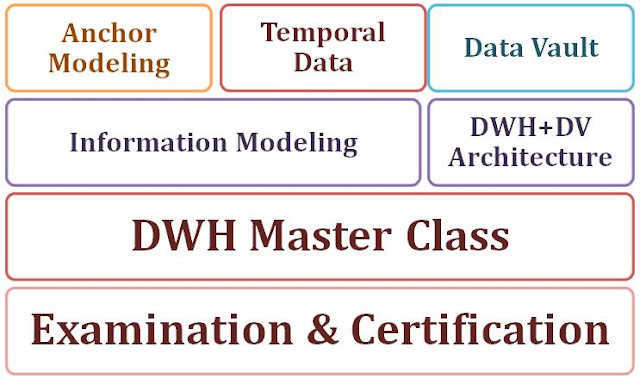 It will start with a special extended version of the Advanced Data Vault Modeling course. For more information on how and what of the individual courses see the bi-podium website. Individual courses will be spread out so the full program will run for approx 1.5 yr. Locations still need to be announced, but we do know that most of the courses will be held either around Utrecht and the HAN ICA Campus in Arnhem.